While we know very little concrete about the state of things in North Korea now or in recent history, Johnson takes an educated guess in telling the story of Pak Jun Do. Jun Do grows up in an orphanage run by his father. Given no special treatment by his parent, he receives, as all orphans do, a name of one of the DPRK's "martyrs." Though I did not realize it until an American character points it out much later, Jun Do exemplifies a "John Doe." Johnson demonstrates time and again through the book that Jun Do is a person without an identity, at least not a permanent one. The plot and characters of The Orphan Master's Son captivated me completely. Johnson writes well and, in my opinion, created a story worthy of the prestigious prize it now claims. I will refrain from recapping the story line; instead, I strongly encourage you to read the book yourself. It will not disappoint. To dive into a culture so vastly different than our own reveals as much about us as it does the North Koreans. The scenes which take place in America or with Americans and the dialogue about our country offers an outsider's perspective. Just as Jun Do (at that point, being called Commander Ga) reflects late in the novel, it is "difficult...to come to see the lies you [tell] yourself, the ones that [allow] you to function and move forward. To really do it, you [need] someone's help." In a broader sense, seeing American from the eyes of these fictional North Koreans gives the same education. While some realizations are small and insignificant, such as the American obsession with cheese, others reveal differences between the countries that exist on far deeper levels than culinary ones. For instance: "Jun Do understood that in communism, you'd threaten a dog into compliance while in capitalism, obedience is obtained through bribes." The greatest divide, of course, lies in the area of personal freedoms. While in the West we enjoy basically unlimited personal freedoms, North Koreans have very few. One of the most poignant scenes depicts the talk which, according to our narrator, every North Korean man must have with his son as he comes of age. The father, while holding his son's hand in a park, denounces him as a traitor to the DPRK. This terrifying illustration is the tool by which the father explains to his son the difference between "inside" and "outside" loyalties. While betraying him outwardly, he continued to hold his hand, the representation of their inside relationship. The greater lesson is that even if you must say terrible things about your family to the government to save yourself, you will always still by loyal to each other in your hearts. What a sobering lesson for a child to need for survival. Religious freedom makes a few, brief appearances. The American Senator's wife tries to give Jun Do a Bible, which he refuses, knowing how much danger it could bring to him. Later, an interrogator reflects on the electrocution of a women being punished for her faith. "Even when the autopilot was in its peak cycle, she hummed a Jesus song and beheld the last room she'd ever see as if it were filled with goodness, as if in the eyes of Jesus all places were created equal and with her own eyes she saw that this was so and thought it good." As a Christian, I realize that I take my religious freedom here in America for granted so often. For as much of a fuss as some Christians make about the political "persecution" we face here, no one faces what this woman did. While her story may be fictional, the concept is not and her short cameo is a heady reminder of those suffering for Christ around the world. Even in her death, she exemplified an intangible difference from her counterparts. Would that we all would show such His light, every day, in the face of death or simply every day life. Ultimately, Johnson's work is a story about people's stories set in a place where personal stories are forbidden. Over and over throughout the book, Johnson relays the message that, for a North Korean, all individuality and personal glory must be deferred to magnify the Great Leader, Kim Il Sung. As one character puts it, "For us, the story is more important than the person. If a man and his story are in conflict, it is the man who must change." I see this as the ultimate difference between the DPRK and America, a place where personal story and accomplishment defines you. In interviews, Johnson has reflected on the trip he took to the DPRK as part of his research for the novel. It is illegal for a North Korean to speak to a foreigner without extensive training. Therefore, it can be extremely difficult to weed through the propaganda and ceremony to see the true stories of the people. In some ways, they are all "orphans" as Johnson portrays them, those without their own identity, under the ultimate Orphan Master, Kim Il Sun (now Kim Jong-un). Yet, the individuals are there, living stories perhaps not unsimilar to the characters in Johnson's book. When we see North Korea in the news, I can only hope we will remember the people and not just the politics of their leaders. 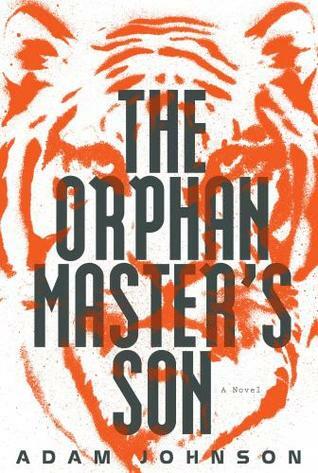 Have you read The Orphan Master's Son yet? If not, you seriously need to immediately. If you have, what other differences did you observe between North Korea and the United States? Do you think personal sacrifice of your own story is ever ok? The treatment of religion is the only thing that disturbs me in this novel. As an agnostic and a humanist, I can not accept the idea that all Americans clinging to their religion are the kind good-hearted ilk in the novel. I admit that freedom of religion is an inalienable right as well as my right not to worship something I do not believe in. Religion in Europe is more about the humanities, tradition, and it is not a part of daily life. I have lived in the USA for four years, and religion here in the South is mostly the supreme example of delusion, HYPOCRISY, racism, white race entitlement, obscurantism, supremacy, and villainization of other beliefs, insular intolerance. People talk the talk and do not walk the walk. Maybe it is the problem of the conservative American South. This is the only thing that might encourage me to give four star instead of five. After all, the role of an author to tell the truth, not the facts, but the truth when it comes to ideas, zeitgeist, feelings, something that I call the human truth. By the way, I have witnessed the same sins even in the most secularized, civilized Islam ... A sad story ... I think as an author he puts his beliefs above the universal truth that not the religion makes people kind and loving, it is the callings of their hearts ... and Johnson failed to show it. Thanks for your comment - I was thinking exactly the same thing. I'm so sorry to hear that you have had a negative experience with those claiming to follow Christ. I hope they would be among the first to express their imperfection. His message was one of love and healing, not of hatred or hypocrisy. As for Johnson's book, I am not sure I understand how there can be a difference between truth and facts. Aren't the two the same by definition? Regardless of your definitions of the words, Johnson should not be penalized for his exemption of the "universal truth." The book is a work of fiction. He did not show every aspect of North Korean culture just as he did not show every side of American Christianity. The book would have been too long. Just my thoughts. Thanks so much for sharing yours!